Taylors Lettings has introduced a free online rental valuation tool. 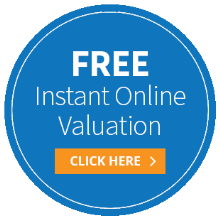 This will provide an estimate of the rental value of any property in the Ashford area. Property owners simply insert their property’s postcode and select the exact house number or name from a drop down menu. Adding the number of bedrooms will add to the accuracy of the projected rental value. The rental value calculator is driven by house price data collected by the land registry as well as details of known rental yields. As with all algorithms there is a potential margin of error. But the online generated rental value is a starting point before we apply our up to date knowledge of the local lettings market. To try out the new service, just click on the blue button above.